Vegetables can wait-dessert comes first. This is the motto at Pinky's Sweet Tooth, a bakery run by hardworking Pinky and her niece Lulu. From Chocolate Yummies to Tutti-Frutti Cookies, Lulu thinks her aunt's desserts are the best in the whole universe. Unfortunately, no one else realizes it. The Sweet Tooth needs some customers. Aunt Pinky has another saying: "Without luck on your side, you have to get up really early in the morning." And no one gets up earlier than Pinky. Soon she is at work day and night on her greatest dessert ever, one she is sure will win first prize in the county fair and make the bakery famous. 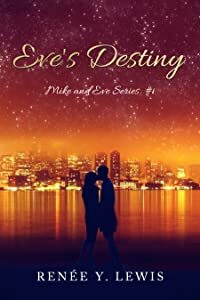 With Lulu as a taste tester and plenty of extra chocolate, Pinky whips up a sensational surprise, proving that luck doesn't just happen, it's something you have to make from scratch. 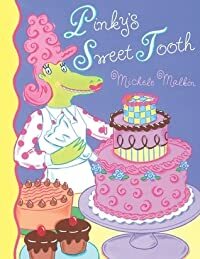 Michele Malkin's bright, boisterous artwork and a gentle message about the rewards of hard work make this picture book as irresistibly sweet as any of Aunt Pinky's chocolatey confections-kids will crave reading it as much as eating their favorite tasty treat!